Chop the sundried tomatoes into small pieces. Chop up the leaves of basil, and add the chopped basil to the olive oil and set aside. 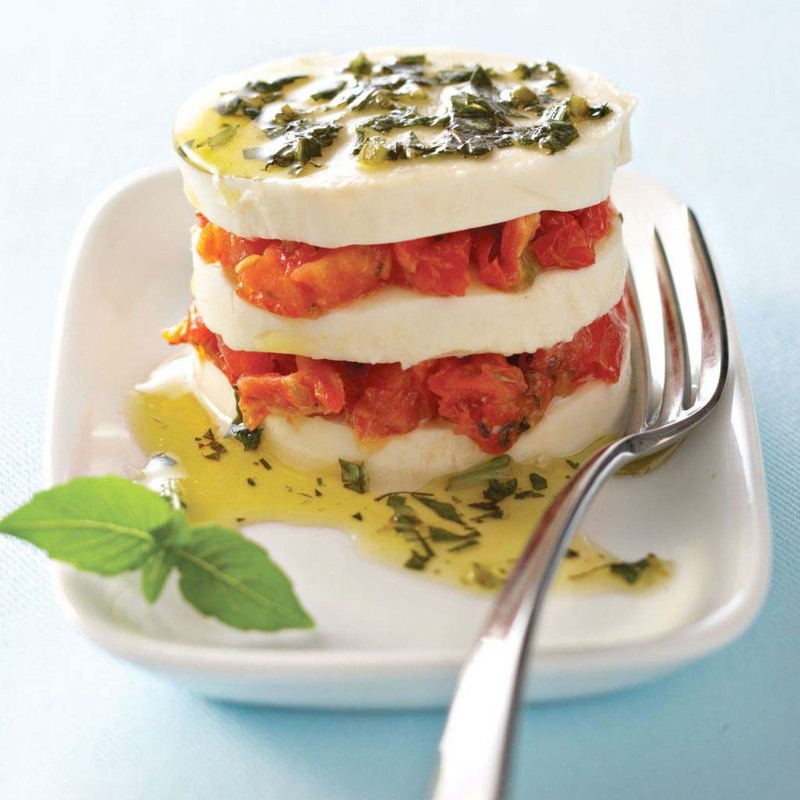 Place a slice of mozzarella in the center of a plate and then spoon some of the chopped sundried tomatoes onto it followed by another slice of mozzarella. Repeat with 2 more alternate layers of mozzarella and sundried tomatoes. Drizzle some of the basil-infused olive oil over your creation and season with salt and some freshly grated pepper.